Transcript of a discussion on how advancements in business applications and the modern infrastructure that supports them portends new and higher degrees of business innovation. Our next technology innovation thought leadership discussion focuses on advancements in business applications and the modern infrastructure that supports them, and what that combination portends for the future. To learn more about the future of technology and business networks, we’re joined by Chris Haydon, Chief Strategy Officer at SAP Ariba. Welcome, Chris. Chris Haydon: Thanks, Dana. Great to talk to you again. Gardner: For me, IT architecture is destiny. Now that we have cloud, big data, and mobile architectures aligned, how does that support where we can go with new business applications and processes -- to get entirely new levels of productivity? Haydon: It's an exciting new age. The new platforms, as you say, and the applications coming together are a kind of creative destructivism. We can start all over again. The value chain is changing because of digitization, and technology needs to respond. So what you hear are buzzwords like adaptivity, configurability, or whatever, but these are table stakes now for business applications and business networks. This digitization of value chains forces us to think about how we bring the notion of multiple constituents within the organization, in terms of the adoption, and then couple that with the agility they need to do to deal with this constant and increasing rate of change. Gardner: People are talking more about “digital business.” It means looking at not just new technologies, but how you do business, of taking advantage of the ability to have insight into your business, sharing that insight across ecosystems with partners. Where do you see the real advantage in action now for a business-to-business (B2B) environment? Haydon: We hear about the technology and it’s important, but what we really hear about is the outcomes. We have very outcome-based conversations with customers. So how does the platform with the business network give you these differential outcomes? What's pretty evident is that you have to be closer to your end user. And it's also about the cloud paradigm adoption. You're only as good as your last transaction, your last logon, your last order, or your last report -- or whatever business process you're running in. It's this merger of adoption and outcome, and how you string these two things together to be able to deliver the customer benefit. From a technology perspective, it's no longer acceptable just to think about the four walls or your firewall; it's really about that extended value chain. So this is where we're seeing this merger of this business network concept, this commerce network concept in the context of these business applications. We're really starting to emerge from B2B, and it's grown out of the business-to-consumer (B2C) world. With the Facebooks, the LinkedIns, or the Ubers, now you're seeing leading practice companies needing to embrace these larger value chains or commerce chains to give them the outcome and also to help drive differential adoption. From a technology perspective, it's no longer acceptable just to think about the four walls or your firewall; it's really about that extended value chain. Gardner: For organizations that are really attracted to this and recognize that they have to compete with upstarts, if they get this right, it could be very disruptive. When we think about having all of your data accessible, when we think about processes being automated, at some point you're able to gather more data and analysis and process refinement that you can then reapply to your business, creating perhaps algorithms and abilities to add intelligence in ways that you couldn’t never do manually. How do we get companies to understand that feedback loop and get it instituted more rigorously into their organization? Haydon: One thing we see is that with the technology we have today, we can hide that complexity from the users and embed it in the way that end users need to work. Let’s talk a little bit about an SAP Ariba example here. If you're going to create a new sourcing event, do you really want to have to think about the business you do with your current suppliers? Absolutely, but wouldn't it be great when that’s all managed by extra information presented right in front of you? On top of that, wouldn’t it be also great to know that these three new suppliers in this category, in this geography that you haven't thought about before, and wouldn't it also be great that they could be automatically invited at no extra friction to your process? So you get more supplier diversity. You're able to also let suppliers become more involved in the process, earlier in the process. We're redistributing this value chain in terms of linking the insight and the community to the point of where work is being done -- and that’s part of that transformation that we're seeing, and that’s how we see it in the Ariba context. But we’re also seeing that in the larger business-network and business application context across SAP. Gardner: So to borrow the B2C example, if Uber is our poster child example, instead of my standing outside of a hotel and having visibility of all of the cars that are driving around that neighborhood, I could be a business and get visibility into all of the suppliers that are available to me. And those suppliers will know what my needs are before they even get to the curb, so to speak. What's the next step? When we gain that visibility, when we have supply chain and buyer and seller synergy, what comes next? Is there some way to bring that value extended to the end-user at some time? Haydon: The next step is network resource planning. This is the awareness about your supply base, but also what other stakeholders in that process might mean, and this is what it could be for the end user. It's not just about the supplier, but also about the logistics provider. It’s about how you might have working capital and finance. The next step is network resource planning. This is the awareness about your supply base, but also what other stakeholders in that process might mean. What if you could dynamically match or even have a conversation about differential service levels from a buyer or supplier? I'm okay to take it tomorrow if I can get it at 8 a.m., but it's $2 cheaper, or I am happy to take it today because of some other dependencies. This is a type of dynamic “what if,” because we have the technology platform capability, in time real-time memory analytics, but also in the context of the business process. This is this a next generation capability that we'll be able to get to. Because the network is external to the application, because together we can understand the players in the network in the context of the business process, that's where that real next evolution is going to come. Gardner: It sounds as if we're really starting to remove the margin of error from business. We're starting to remove excess capacity, become fit for purpose through that dynamic applicability of insight and analysis. How much can we squeeze out? Do we have a sense of how substantial these business network capabilities will become? What sort of payoff are we anticipating when we can remove that margin of error, with tighter integration across ecosystems? What’s the gold piece that we are going after here? Haydon: Well it’s a big, big, big number. Even if we go back a couple of years -- and there’s some good work being done on just the inefficiencies and the first sort of magnitude on paper -- and that’s just moving something from a paper format and dematerializing that into an electronic format. Four years or five years ago when a study was done on that, that was conservatively somewhere between $600 billion and $1 trillion just in the Global 2000 corporations. There is an order of magnitude more opportunities globally from just this compression of cycle times, in the broader sense, and responsiveness and adaptability throughout the whole world globally. At SAP Ariba, we just passed a great threshold in 2015. We ran more than $1 trillion in commerce across our business network. If you just start doing a little bit of math around what a one percent or two percent improvement of that can be from better working capital management, or more flexible working capital management, just pure straight productivity and just competition, of leveling the playing field for the smallest micro-supplier through the largest international supplier, and just leveling that all out. There are stupendous gains on both sides of the balance sheet. Gardner: When it comes to adoption patterns, some organizations may have been conservative and held back, perhaps resisted becoming cloud-based. What sorts of organizations are you seeing making a bold move, not just piecemeal, and what can they get a lot done in a relatively short amount of time? Haydon: In industries where they are traditionally conservative, they really do need to change their value chains, because that’s what their customers are demanding. And so, financial services, where historically you would think the old “big iron” approach. Those types of companies are embracing what they need to do on cloud to just to be more adaptive, to be faster, and also to be more end-user-friendly, and the total cost of ownership approach from the cloud is really there. But we're a long way away from on-premises applications being dead. I think what the cloud gives enterprises is they can go largely to the cloud -- and we see companies doing that -- but that the legacy-hybrid, on-premise model is really important. That’s what’s great about the cloud model. You can consume as you go. It doesn’t all have to be one big bang. For pragmatic CEOs, CFOs, or CIOs, that blend of hybrid is the legitimate strategy -- where they can have the best of both worlds. With that said, the inextricable pool of cloud is there, but it can be a little bit more on their own terms, on what makes sense for their businesses. We talk about our cloud applications, and we have leading, leading practice, widely, broadly adopted source-to-pay cloud applications in a fully integrated suite. Gardner: We have been at the 70,000- to 80,000-foot height on this discussion. Let’s bring it down a bit lower. Help our readers understand SAP Ariba as an entity now. What does it consist of in terms of the software-as-a-service (SaaS) services that have been acquired and built, and how that then fits into a hybrid portfolio. Haydon: Number one, we fundamentally believe in Ariba, and it had to give differential outcomes to our customers, that linking cloud applications with the business-network construct will give you better outcomes for the things we just spoke about earlier in the conversation: visibility, supply chain, adaptability, compliance, building on networks of networks to be able to deliver different outcomes, linking to payment networks like we have done with Ariba and Discovery, linking to content networks like we have done with eBay, but bringing them into the context of the business process can only really be enabled through networks and applications. From an Ariba perspective, we like to think of it in three pillars for everyone. We talk about our cloud applications, and we have leading, leading practice, widely, broadly adopted source-to-pay cloud applications in a fully integrated suite. From a cloud perspective as well, you can have the Lego-block approach, where we can take any one of our modules, from spend visibility all the way through the invoicing, and start your journey there, if that's your line-of-business requirement, or take the full suite approach. Intrinsic to that offering, of course, is our business network. Why I bring that up is that our business network and our cloud applications are agnostic. We don't actually care, from a cloud perspective, which back-end system of record you wish to use. Of course, we love and we believe that the best out there is S/4HANA from SAP, but there is also a larger market, whether it's the mid-market or whether there are other customers who are on other journeys on the enterprise resource planning (ERP) for legacy reasons. We can connect our cloud applications and our network to any one of those. So, there are three levels: network, our end-to-end cloud applications, and last but not least, and which is really relevant from the technology journey, a rock-solid platform. And so I am moving toward that platform that runs our cloud apps and our network in conjunction with SAP for the security, for the privacy, for the availability, for all of these really important things that enterprise customers need. Also, you have to have the security to run these business processes, because they're entrusting those to us, and that's really what cloud means. It means entrusting your business processes to us to get a differential outcome for your business. Gardner: As organizations try to become more of a digital business, they will be looking to bringing these benefits to their ERP-level business applications, their supply chain and procurement, but increasingly, they're also looking to manage better their human resources and recognizing that that's a dynamic marketplace more than ever. Gardner: So let's talk about how the business network effect and some of these synergistic benefits come to play in that human resources side of running a digital business? Leading companies today want to have agility on how many full-time employees they can hire, and how to manage contingent or temporary labor aspects. Haydon: That's also one of the great parts from an SAP portfolio. I like to think about it two ways. There’s human capital management internal, and there’s human capital management external. Leading companies today want to have agility on how many full-time employees they can hire, and how to manage contingent or temporary labor aspects. From an SAP perspective, what's great is that we have the leading cloud for Human Resource Management and Talent Management solutions with Success Factors, and we have also have the market-leading Contingent Labor Management solution with Fieldglass. Together with Ariba, you're able to, one, have a one-visibility view into your workforce in and out, and also, if you like, to orchestrate that procurement process to get sourcing, ordering, requisitioning and payment throughout. From a company perspective, when you think about your spend profile, 30 percent to 70 percent of the spend is about services as we move to a service-based economy. And in conjunction with SAP Ariba and SAP Fieldglass, we have this broad, deep, end-to-end process, in a single context, and -- by the way -- integrated nicely to the ERP system to really again give those best outcomes. Gardner: When people think about public clouds that are available to them for business, they often couple that with platform-as-a-service (PaaS), and one of the things that other clouds are very competitive about is portraying themselves as having a very good developer environment. But increasingly, development means mobile apps. Gardner: What can we gain from your cloud vision as being hybrid, while also taking advantage of mobile development? Haydon: From a platform perspective, you need to be “API First” because if you're actually able to expose important aspects within a business process, with an API layer, then you give that extensibility and that optionality to your customers to do more things. Let’s talk about concrete examples. An end-to-end process could be as simply as you could take an invoice from any third-party provider. Right now, Ariba has an open invoice format. If someone chooses to scan it themselves and digitize it themselves or something that a customer wanted to do, we could take that straight feed in. If you want to talk about a mobile API, it could be as simple as you want to expose a workflow. There's a large corporate mandate sometimes to have a workflow. If you travel, there's a workflow for your expenses, a workflow for your leave request, and a workflow for your purchase orders. If you want that cost – the end-user that has five systems or would rather come to one, you can have that API level there. There is this whole balance of how you moleculize your offerings to enable customers to have that level of configuration that they need for their individual business requirements, but still get the leverage of not having to rebuild it all themselves. That's certainly a fundamental part of our strategy. You'll see that SAP is leading in itself under our HANA Cloud Platform. SAP Ariba is building on that. That's certainly a fundamental part of our strategy. You'll see that SAP is leading in itself under our HANA Cloud Platform. SAP Ariba is building on that. I don’t want to flag too much, but you’ll see some interesting developments along that way as we open up our platform from both an end-to-end perspective and also from an individual mobile perspective throughout the course of this year. Gardner: Now this concept of API First, it's very interesting, because it doesn't really matter which cloud it’s coming from, whether on a hybrid spectrum of some sort. It also allows you to look at business services and pull them down as needed and construct processes, rather than monolithic, complex, hairball applications. Do you have any examples of organizations that have taken advantage of this API First approach? And how have they been able to customize their business processes using this hybrid cloud and visibility, reducing the complexity? Haydon: I can certainly give you some examples. This just starts from simple processes, but they can actually add a lot of value. For example, you have a straightforward shipping process, an advanced shipping process. We know of an example where a customer took 90 percent of their time out of the receiving and made the matching of their receiving receipting process almost by 95 percent, because they can leverage an API to support their custom bar-coding standard. So they leveraged the standard business-network bus, because that type of barcode that they need to have in their warehouse, and their part of the world, was there. Let’s wind the clock back three or four years. If we had asked for that specific feature, to be very candid, we wouldn’t make it. But once you start opening up the platform at that micro level, you can actually let customers get the job done. But they can still leverage that larger framework, that platform, that business process, that cloud that we give them. But when you extend that out for what it could mean, again, full payment, or for risk, or for any of these other dimensions that are just typically organizational processes to the current -- whether it’s procurement or whether it’s HR recruiting or whatever it's like -- it gets pretty exciting. Gardner: One of the other hallmarks of a digital business is having aspects of a business work in new ways together, in closeness, that they may not have in the past. And one of the things that’s been instrumental to business applications over the past decades is this notion of a system of record or systems of records, and also, we have had this burgeoning business intelligence (BI) now loosely called big data capability. And they haven't always been that close, but it seems to me that with a platform like SAP HANA, combined with business-networks, that systems of record and the data and information in them, and the big data capabilities, as well as accessing other data sets outside the organization, make a tremendous amount of sense. How do you see the notion of more data, regardless of its origin, becoming a common value stream to an organization? Haydon: This becomes the fundamental competency that an organization needs to harness. This notion of the data, and then the data in the context of the business process, and then again to your point, how that’s augmented in the right way, is really the true differentiation for where we’ll go. We're working with our customers to identify and remove forced labor in the supply chain, or advance global risk management or even expedited delivery and logistics. Historically, we laid down the old railway tracks on business processes, but there is no such thing as railway tracks anymore. You rebuild them every single day. Inside that data, with the timeliness of it, is sentiment analysis so that from a business-network context, it enables you to make different and dynamic decisions. Within SAP Ariba, we're fundamentally rethinking how we can have the data that’s actually in our environment and how we get that out -- not just to our account managers, not just to where our product manager is, but more importantly, out to our end users. They can then actually start to see patterns, play with it, and create some interesting innovations. We're working with our customers to identify and remove forced labor in the supply chain, or advance global risk management or even expedited delivery and logistics. Gardner: Okay, we talked about business-networks in the context of applications working together for efficiency, we’ve talked about the role of hybrid cloud models helping to accelerate that, we've talked about the data issues and some of the development and customization on mobile side of things. What have we missed, what is the whole, greater than the sum of the parts component that we’re not talking about that we should? Haydon: There are probably two or three. There’s certainly the notion of the user experience and that's a function of mobile, but not mobile only. The notion of reinventing the old traditional flows and thinking that was prevalent even five years ago on what constituted one type of work channel no longer exists. There's the new discipline of what a user experience is about and that's not just the user interface, that’s also things like they’re just the tone or the content that’s presented to you. It’s also what it does mean on the differential devices and way you’re working. So I think that's an evolving piece, but cannot be left behind. That's where the B2C world is blazing and that's now the expectation of all of us in that, when we go to work and put our corporate hat on, as simple as that. These two are security and privacy. That is top of mind for a number of reasons and it's really fair to say that it’s in a massive state of flux and change here in the United States, but certainly in Europe. It doesn’t matter which region you are in, APJ or Latin America as well. That's another competitive advantage that enterprises and providers in this space like SAP and SAP Ariba, can, and will, and should, lead on. The last point, maybe a trend, is that you're really seeing very quickly the transition between the traditional service and material flows that exist, and then the financial flows. We're seeing the digitalization of payments just exploding and banks and financial institutions having to rethink and look at what they're doing. With the technology and the platforms we have, that linking of that is physical flows, whether they be for services or materials and that crossing over to that payment and then the natural working capital because, at the end of that, commerce follows money. It’s all about the commerce. So it's the whole space in that whole area and that technology is the trend as well. Security UX and the whole payment working capital management or the digitalization of that are the three large things. Gardner: And these are areas where scale really helps. Global scale, like a company like SAP has, when the issues of data sovereignty come up and you need to think about hybrid cloud, not just in its performance and technical capabilities but the actual location of data, certain data for certain periods of time and certain markets, is very difficult to do if you're not in those markets and understanding those markets. It's the same with the financial side. Because banking and finance are dynamic, it’s different having that breadth and scope, a key component of making that possible as well. We're seeing the digitalization of payments just exploding and banks and financial institutions having to rethink and look at what they're doing. There's one last area we can close out on and it’s looking a bit to the future. Some competitors of yours are out there talking about artificial intelligence (AI) more than others, and when you do have network effects as we’ve described, big-data mesh across organization thinking of data as a life cycle for a digital business, not just data in different parts of your organization. We can think about expertise in vertical industries being brought to bear on insights in the markets and ecosystems. When and how might we expect some sort of an AI, value, API, or set of APIs to come forward to start thinking things through in ways people probably haven’t been able to do up until now or in the near future. Haydon: The full notion of something like a [2001: A Space Odyssey’s] HAL 9000, is probably a little way away. But then again, what you would see within the next 12 to 18 months is specific -- maybe you call them smart apps rather than intelligent or smart agents. They already exist today in some areas. You will see them augmented because of feedback from a system that’s not your own, whether it’s moving average price of an inventory. Someone will bring the context of an updated price, or an updated inventory and that will trigger something, and that will be the smart agent going to do all that work for you, but ready for you to make the release. There still is a notion of the competency, as well, within the organization, not as much a technology thing, but a competency on what Master Data Governance means, and the quality of that data means, and being able to have a methodology to be to manage that to let these systems do it. So you will see probably in a lower-risk spend categories, at least from a procurement perspective indirect, or may be some travel and these aspects, maybe a little bit of non-inventory materials repair and operating supplies, you probably fair way away from fully releasing direct material supply chain in some of these pretty, pretty important value chains we manage. Gardner: So maybe we should expect to see self-driving business processes before we see self-driving cars? Haydon: I don't know, I'm lucky enough to live in Palo Alto, and I see a self-driving car three days a week. So we'll back out of that one. But there is a really important piece, at least from Ariba perspective and an SAP perspective. We fundamentally believe that these business-networks are the rivers of data. It's not just what's inside your firewall. You will truly get the insight from the largest scale of these rivers of data from these business-networks; whether it be Ariba or our financial partners, or whether it be others. There will be networks of networks. It's scale and adoption. From the scale and from the adoption, will come that true benefit from the networks, the business process, and the connectivity therein. This notion of having a kind of the bookend of the process, a registry to make sense of the actors in these business networks and the context of the business process, and then linking that to the financial and payment change, that's where the real intelligence and some real money could be released, and that's some of the thinking that we have out there. Gardner: So, a very bright interesting future, but in order to get to that next level of value, you need to start doing those blocking and tackling elements around the rivers of information as you say the network effects and putting yourself in a position and then be able to really exploit these new capabilities when they come out. Haydon: It's scale and adoption. From the scale and from the adoption, will come that true benefit from the networks, the business process, and the connectivity therein. Gardner: I’m afraid we will have to leave it there. You’ve been listening to a BriefingsDirect thought leadership podcast discussion on how advancements in business applications and the modern infrastructure that supports them portend new and higher degrees of business innovation. And we have heard how the power of business networks is combining with these advanced platforms, and mobile synergy and data analysis, to change the very nature of business and commerce. 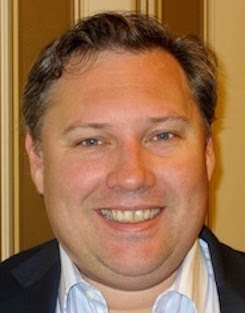 So, please join me now in thanking our guest, Chris Haydon, Chief Strategy Officer at SAP Ariba. Thanks so much, Chris. Gardner: And a big thank you, too, to our audience for joining this SAP Ariba-sponsored business innovation thought leadership discussion. I’m Dana Gardner, Principal Analyst at Interarbor Solutions, your host and moderator. Thanks again for listening, and do come back next time. Transcript of a discussion on how advancements in business applications and the modern infrastructure that supports them portends new and higher degrees of business innovation. Copyright Interarbor Solutions, LLC, 2005-2016. All rights reserved.